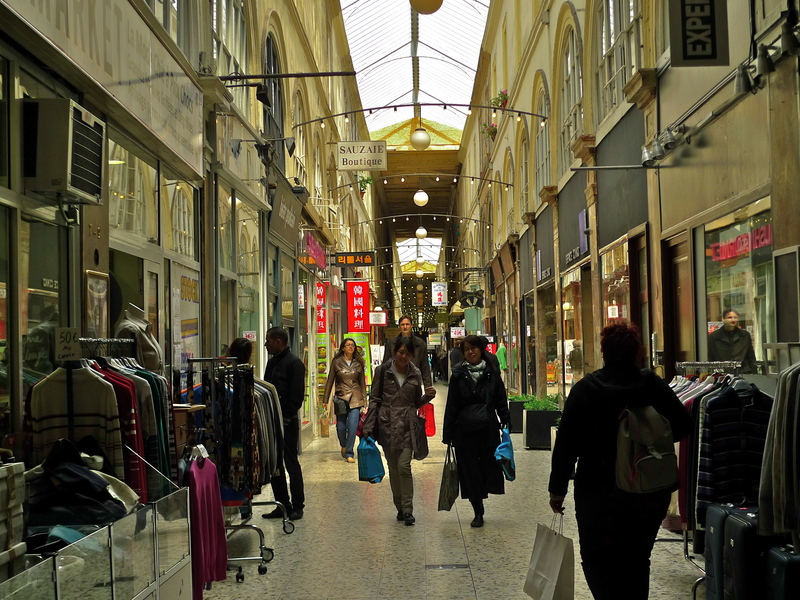 Passage Choiseul is a walkway located in the 2nd arrondissement of Paris, France. It is the continuation of Rue de Choiseul. It was built between 1825 and 1827. It was designed by Francois Mazois. He died before the building was complete. Another architect, Antoine Tavernier, complete the work. Louis-Ferdinand Celine lived here as a child in the early 20th-century. As an adult he described it as having gas lamps that “stank as badly as the stagnant air,” and the aroma of “dogs urine” in the passage. In 1907 the glass roof was replaced. The passage fell into disrepair. In the 1970s visitation increased when Kenzo opened a boutique in the passage. They have since relocated to the Place des Victories. Passage Choiseul is a shopping area. It has clothing stores, book stores, jewellery shops, art galleries and art supply shops. The entrance to the Théâtre des Bouffes-Parisiens is located in the passage. The bottom floor is mainly retail and the upper floors are primarily residential. It is the longest covered passage in the city, at 190 meters and 3.7 meters width. In 2012, it began renovations and restoration by Jean Frédéric Grevet. It is a registered historic monument in France. Passage Choiseul is one of the passages mentioned by Kârinh in Revoir Paris 1).